Browse the largest selection of adult pull ups on the internet. 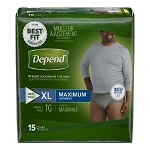 A good product to start by looking at is the Tranquility Premium Overnight Disposable Pull-Ons. iDiaper carries many types of adult pull ups. These pull ups are like underwear, and are more commonly used than briefs with tabs. 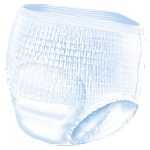 Although they are more commonly used, there are fewer choices than there are with briefs. The first product, the Tranquility overnight pull up, is the one most people use because of its comfort and high absorbency. This product is one of the best on the market, working extremely well for many people. 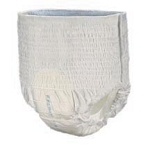 Most people like the pullups because they are more like regular underwear and less like a diaper. The popular brands of Attends, Depends, and Prevail are listed here. But iDiaper carriers more sizes than are available at most local stores. If these popular brands are not working for you, try some of our other brands. Each adult pullup in this section is quite different. Briefs and pullups for an adult have changed quite a bit over the years. As the technology improves, people stay dryer. 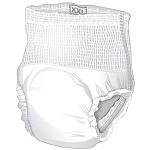 Pull ups are available for any level of incontinence, and there are products for any level of activity. Take your waist and hip measurements, be honest about the amount of coverage you need and take a look at the different brands we have available. Remember to use the larger of the two measurements for the proper fit. The proper fit is the most important factor in avoiding leakage. The amount of coverage, whether lightto heavy & overnight, is also important. 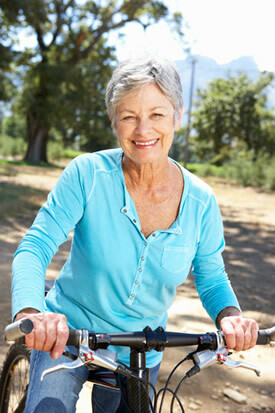 Our goal at iDiaper is to fit you into the proper type of incontinence product you need to feel comfortable and ready to enjoy your life again. If you have any easy or difficult questions, please give our customer service phone staff a call 866-559-0353. They will assist you in finding the appropriate product for your needs, and perhaps make suggestions you did not even know were available on the market. As indicated above, a great place to start is the Tranquility product. 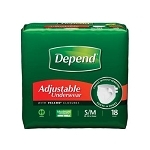 It keeps you dry, is comfortable, absorbs more than two full bladder losses, is sturdy, tears off when used, and is fantastic all the way around. Tranquility did a great job with these. When they're used, simply tear them off with the tear away sides. They are a bit bulky, but if you don't mind that then they are worth a try. Just get a pack the first time, try them, then order a case for economy. It is by far our most popular item because it is so comfortable and works so well. Your skin will be much healthier since the fluid is wicked away so well. Some people don't realize the difference between adult pullups and a brief with tabs as far as which would work best. The briefs with tabs are pretty hard to undo and refasten by yourself in the bathroom. They are better for someone that is bedridden. Pull ups pull up and down like regular underwear. If you or the person you are caring for is independent, they almost always use a pull up. If the person is bedridden, it saves a lot of hastle to use a brief with tabs.